Researchers at NYU and Yale are conducting a joint research project which examines the brains of people who stutter during social interaction. We are seeking adults who stutter for two experiments. 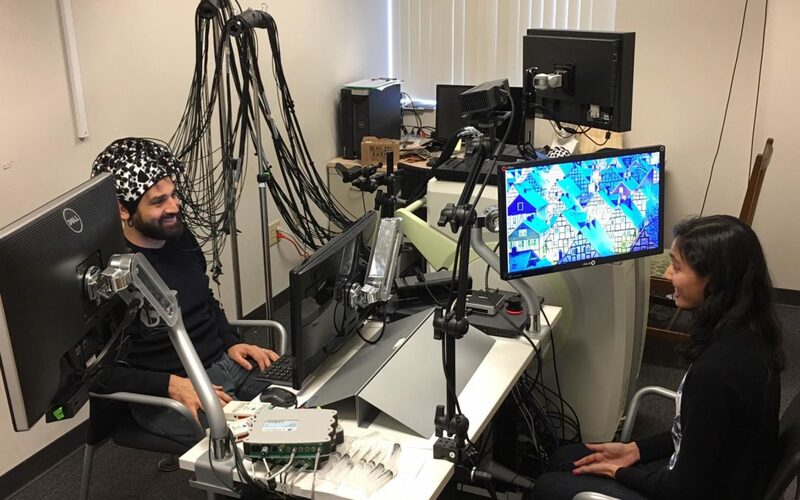 Both experiments use functional near-infrared spectroscopy to monitor changes in brain activity during a series of simple tasks (e.g., reading aloud, talking to the researcher). The experiments are safe and non-invasive, and involve wearing a stretchy cap with light emitters and sensors. Experiment 1 will take place at NYU and Experiment 2 will take place at Yale. Both experiments will last approximately 60 minutes. Participants will be compensated $40 for Experiment 1 and up to $100 for Experiment 2. Additionally, subjects will be reimbursed for train travel to/from Yale University, if applicable. You can participate in one or both experiments. If you are interested in participating in either study, please contact Dr. Eric S. Jackson at eric.s.jackson@nyu.edu. this is just a test for now. Stuttering, across all severity, is a multi-dimensional disorder that affects people of all ages. There have been much research into the physical and psycho-emotional impact of stuttering on children but relatively few on adults. For adults who stutter (AWS), the disorder may impact their cognitive, affective, and social well-being. The overt (i.e., sound and word repetition) and covert (i.e., fear of speaking situations) features of stuttering impact and may influence a person’s personality development. The purpose of the current study is to observe the relationship between self-reported rating of severity and personality type in adults who stutter. It is hypothesized that AWS will score Introversion more frequently than Extroversion. It is also hypothesized that there will be a higher percentage of AWS who self-reported severe stuttering and scored Introversion compared to hose who reported moderate and mild stuttering severity. The results of the study will lend toward better advocacy and education for adults who stutter and how their personality can be implemented to improve the efficacy of fluency therapy. Participants will complete a short survey to assess their severity and complete the Majors Personality Type Elements (PTE) to determine their personality type. All correspondence is completed online. If you are interested in participating in the study, please contact Hoang Truong at htruong@ucera.org. Hoang Truong is a graduate study at the University of Hawaii in the Communication Sciences and Disorders Department. He is an adult who stutters and hopes to specialize in fluency research and intervention. Try Your Hand at Playing with Puppets! 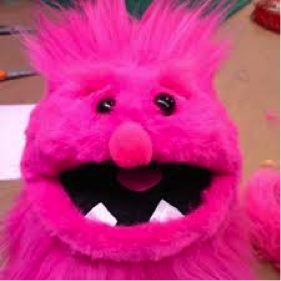 Are you available for a free two-hour group workshop on puppeteering located on Manhattan’s Upper West Side? If so, you may be eligible to participate in a study for an undergraduate Experimental Psych class, examining the effects of stuttering with the use of hand puppets. This will be at a home studio, and uses a tech set-up similar to that of Sesame Street and other puppet shows. It will utilize pre-recorded audio as well as synchronized speech. We will cultivate a fun & safe space to ease you out of your comfort zone. Refreshments will be served. Jake Friedman is a psychology student at Hunter College, a person who stutters, and a professionally-trained puppeteer.